Coming Together In Skokie—Latino & Hispanic Cultures | What's On My Nightstand? In the next few weeks Coming Together in Skokie & Niles Township are sponsoring programs discussing Latino & Hispanic Cultures. Oakton Community College Library is sponsoring several Events from February to May including book discussions, films, & lectures. Here is a list of some of the books being discussed for Latino & Hispanic Cultures as well as other suggested readings. Book Discussion: Saturday, Februrary 27, 11 am – 12 p.m. Both campuses also have a limited number of free copies of the book in both Spanish and English for people interested in attending. “Nineteen-year-old Nayeli works at a taco shop in her Mexican village and dreams about her father, who journeyed to the US when she was young. Recently, it has dawned on her that he isn’t the only man who has left town. In fact, there are almost no men in the village—they’ve all gone north. While watching The Magnificent Seven, Nayeli decides to go north herself and recruit seven men–her own ‘Siete Magníficos’—to repopulate her hometown and protect it from the bandidos who plan on taking it over. 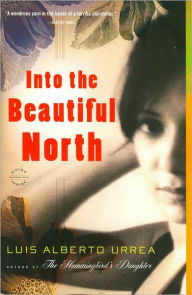 Filled with unforgettable characters and prose as radiant as the Sinaloan sun, Into the Beautiful North is the story of an irresistible young woman’s quest to find herself on both sides of the fence” (Descriptive content provided by Syndetics). “When fifteen-year-old Maribel Rivera sustains a terrible injury, the Riveras leave behind a comfortable life in Mexico and risk everything to come to the United States so that Maribel can have the care she needs. Once they arrive, it’s not long before Maribel attracts the attention of Mayor Toro, the son of one of their new neighbors, who sees a kindred spirit in this beautiful, damaged outsider. Their love story sets in motion events that will have profound repercussions for everyone involved. Here Henríquez seamlessly interweaves the story of these star-crossed lovers, and of the Rivera and Toro families, with the testimonials of men and women who have come to the United States from all over Latin America. 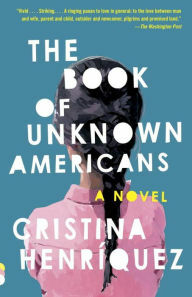 The Book of Unknown Americans is a stunning novel of hopes and dreams, guilt and love—a book that offers a resonant new definition of what it means to be American” (Descriptive content provided by Syndetics). “A day after N. first crossed the U.S. border from Mexico, he was caught and then released onto the streets of Tijuana. Undeterred, N. crawled back through a tunnel to San Diego, where he entered the United States forever. 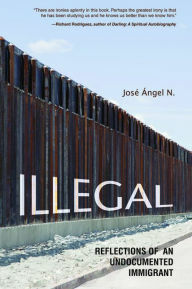 Illegal: Reflections of an Undocumented Immigrant is his timely and compelling memoir of building a new life in America. Authorial anonymity is required to protect this life. Despite having a well-paying job, N. was isolated by a lack of official legal documentation. Travel concerns made big promotions out of reach. Vacation time was spent hiding at home, pretending that he was on a long-planned trip. The simple act of purchasing his girlfriend a beer at a Cubs baseball game caused embarrassment and shame when N. couldn’t produce a valid ID. A frustrating contradiction, N. lived in a luxury high-rise condo but couldn’t fully live the American dream. He did, however, find solace in the one gift America gave him—his education. Ultimately, N.’s is the story of the triumph of education over adversity. In Illegal he debunks the stereotype that undocumented immigrants are freeloaders without access to education or opportunity for advancement. With bravery and honesty, N. details the constraints, deceptions, and humiliations that characterize alien life ‘amid the shadows'” (Descriptive content provided by Syndetics). “Thirteen young Latinos and Latinas living in America are introduced in this book celebrating the rich diversity of the Latino and Latina experience in the United States. Free-verse fictional narratives from the perspective of each youth provide specific stories and circumstances for the reader to better understand the Latino people’s quest for identity. Each profile is followed by nonfiction prose that further clarifies the character’s background and history, touching upon important events in the history of the Latino American people, such as the Spanish Civil War, immigration to the US, and the internment of Latinos with Japanese ancestry during World War II. 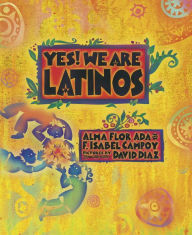 Alma Flor Ada and F. Isabel Campoy’s informational yet heartwarming text provides a resource for young Latino readers to see themselves, while also encouraging non-Latino children to understand the breadth and depth of the contributions made by Latinos in the US. Caldecott Medalist David Diaz’s hand-cut illustrations are bold and striking, perfectly complementing the vibrant stories in the book” (Descriptive content provided by Syndetics).